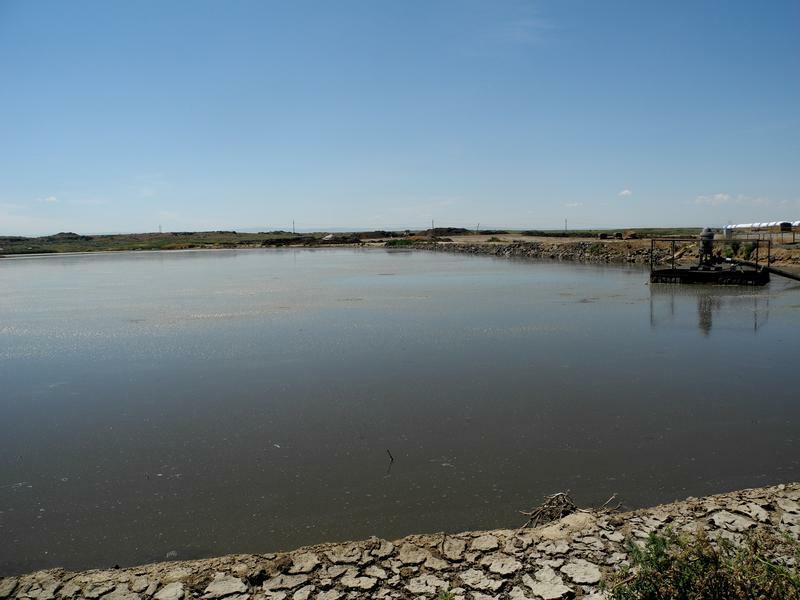 This man-made pond is a typical method for storing dairy waste. After months of cold and wet weather, the 4 Bros. Dairy near Shoshone started to flood last February. Melting snow and winter rain overwhelmed the wastewater ponds, prompting the Lincoln County Commissioners to call an emergency meeting. Turns out the dairy was pumping the excess water into a canal, where water leaked into residential wells. According to the Twin Falls Times-News, commissioners urged people in the area to get their wells tested and said they would be reimbursed. The tests are free, but the lab fee is $16. But one resident told the paper that when he took his receipt to get reimbursement, the county turned him away. A county commissioner says they expected to get state or federal money to pay for the test, but it didn’t come through. The Times News reports between 20-40 wells were tested, some of which tested positive for E. coli.